So, we're a little late, but we figured a Mardi Gras theme would be appropriate for this week's color day. The festivities may have ended with the start of the Lenten season today, but that doesn't meant that you can't incorporate a similar theme into your party or event any time this year. 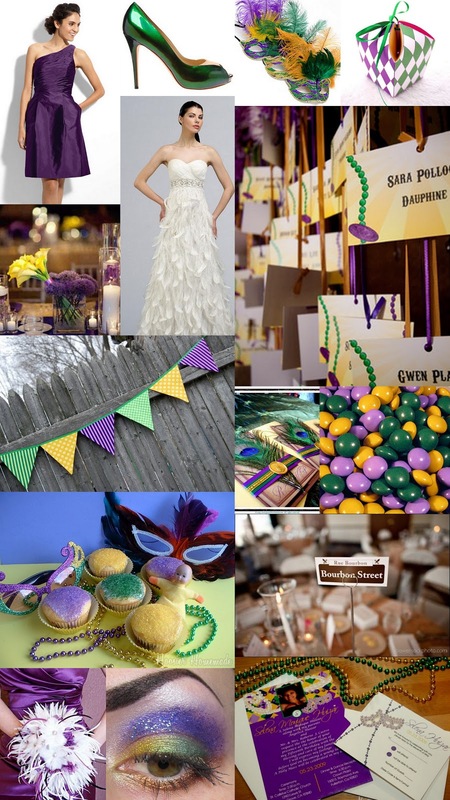 Carnival or Mardi Gras themes are festive and fun so break out the beads, put on your mask, crank up that jazz and bring and little of "The Big Easy" to your event.